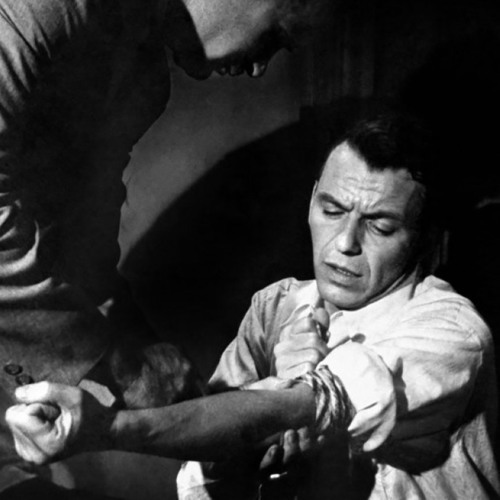 In 1955 Frank Sinatra starred in Otto Preminger's production of The Man With The Golden Arm. It was a film many consider to be well-ahead of its time about a heroin addict who gets clean while in prison, but struggles to stay that way in the outside world. In this clip Sinatra talks years later about going to visit a teenager who was in the process of kicking the addiction at a facility in order to learn how to get into the character of Frankie Machine. Episode 85 of Breaking Walls will spotlight Frank Sinatra's radio career and be available beginning November 1st, 2018 at www.TheWallBreakers.com and everywhere you get your podcasts.